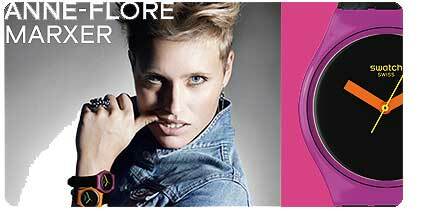 Anne-Flore Marxer has signed with watch company Swatch. Terje Haakonsen did the same last year, so Iguess you can keep yout cred and still go with the swiss makers of watches. The serie of models that bares Anne-Flore Marxers name is designed in a back to the eighties style. I guess they are sort of clean. They come with the snowpass technology. So with a snowboard friendly watch from Swatch you can use the watch as a skipass. Not on all resorts thou. So it´s really more of a gimmick.